New Delhi : The Samajwadi Party crises denies to die down, as a day after resigning from the Uttar Pradesh cabinet and the post of state Samajwadi Party chief, senior party leader Shivpal Yadav says, “I’ am with Mualayam Singh. It may be mentioned here after a day of wars of words that was witnessed between Shivpal and Ram Gopal Yadav where Amar Singh turned out to be the center for the civil war in Yadav clan, Shivpal had sent his resignations to SP supremo Mulayam Singh and chief minister Akhilesh Yadav late night on Thursday. However, Akhilesh refused to accept his resignation indicating that he was willing to let the power tussle. # Shivpal could likely get all his ministerial portfolios back and remain the state unit head. #Shivpal's wife Sarla also resigned from the post of District Cooperative Bank Chairperson, Etawah, and son Aditya stepped down from the post of Chairman of Pradeshik Cooperative Federation. # Earlier Mulayam Singh met Shivpal and Akhilesh separately to douse the flame between the two leaders. Shivpal later met Akhilesh on Mulayam request. 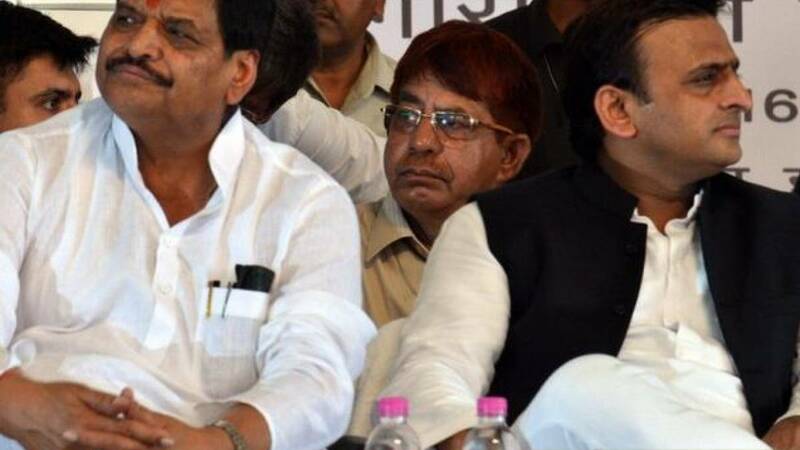 # Earlier on Thursday Ram Gopal Yadav had blamed 'outsider' Amar Singh for the crisis in the Yadav family. # He had said differences had arisen due to some misunderstanding and accused Amar Singh of conspiring against Akhilesh and working against the Samajwadi Party. # It may be mentioned here that Amar Singh, was expelled from the party in 2010, rejoined the Samajwadi Party. #Defending Amar Singh, Shivpal, on the other hand said party is strengthened by taking everyone along.